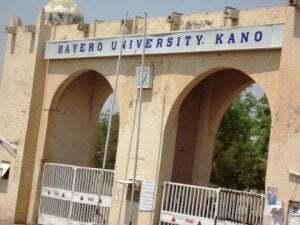 Bayero University, Kano, BUK post UTME screening application form for the 2018/2019 academic session. The minimum required cut-off point is 180. BUK post UTME form is now available for purchase online and registration will start on Monday 9th July, 2018. See more details below. CLOSING DATE: The Payment for the registration will start from 9 July to 20 July, 2018. Portal for registration and printing of acknowledgment slip will be closed by midnight of Tuesday, 24th July, 2018. Comment Text*I bello haroun I wrote the putme in buk I get 200 my jamb score is 186… dts my average is 193 I hope my average is enough to give me library and information science…. Pls is Buk D.E form not yet out and why is there delay of d form? is their possibilty for d.e screening exercise?? Which kind of slip that BUK need before you are allowed to enter into the aptitude test room at the date and time of test. Pls…. i just did my change of institution to buk and they don’t recognize/allow me to register for post utme screen. what can i do? About the online screening 2018. Is it only for UTME or the DE screening is also included? pls answer me . I got 195 points in jamb am I qualified for BSC nursing ? Hi… I’m firdausi and the answer to your question is.,, The actual jamb for nursing is 220 and above…. But the truth is gaining admission to the university is not by your score but by luck… Some people might get 259 and above but would still not gain admission…. How about 2018 BUK Post UTME?